It was like a scene out of Snow White. 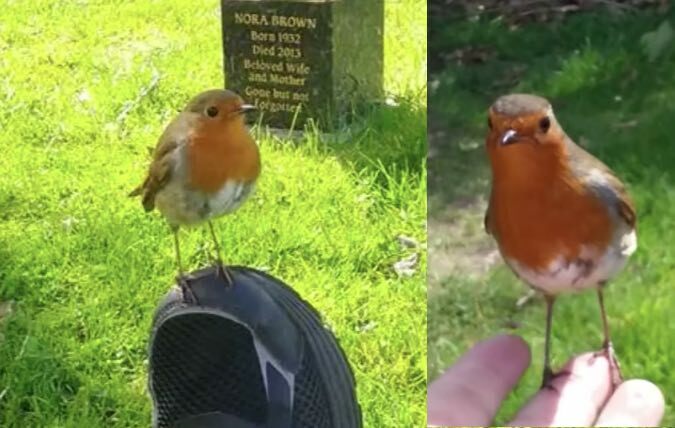 English resident Marie Robinson was visiting the grave of her late son Jack earlier this month when she was comforted by a wild robin. Jack had passed away from brain cancer four years earlier, and Marie had been visiting his resting place on the anniversary of his death. It was then that she was soothed by the presence of the tiny robin. The bird was perched on the grave before flying over to her hand after she called it – and then she couldn’t help but break down in tears of gratitude.